A strength in depth across a range of specialisms sees McCann take top spot in the EMEA region. McCann reckons 2018 was its most successful year yet across the EMEA region, and Campaign’s Agency of the Year judges agreed. The network comprises more than 3,000 executives in 44 EMEA markets, all operating under a single mission statement: to help local, regional and global brands play a meaningful role in people’s lives. The company claims growth was 50% above the market average in 2018, and it added more than 200 new-business assignments between January and November. Wins included Opel for all Europe, led out of Germany, and the global Vichy business, led out of France. Local new business included Multon/Dobry (The Coca-Cola Company) in Russia, Reckitt Benckiser Lysol in Germany, Novartis in Spain, Fineco Bank by Unicredit in Italy and Chivas in the UK. 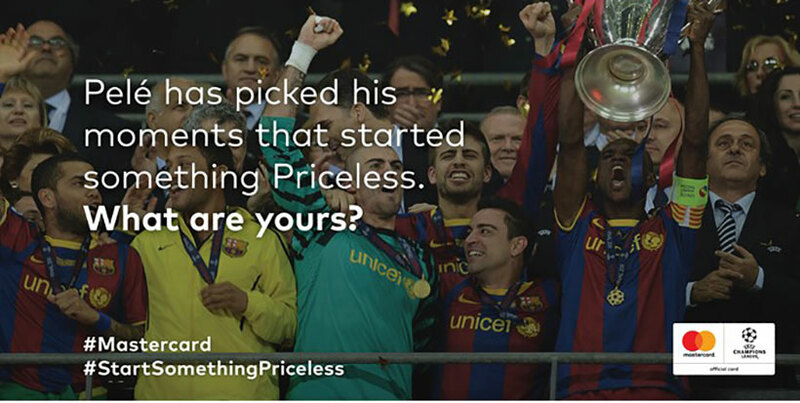 Creative highlights in 2018 included recruiting sporting legend Pelé in an anti-xenophobia campaign that supported the launch of Mastercard’s platform #StartSomethingPriceless (pictured, below); working with football team Olympique de Marseille in France to create a campaign encouraging more women to go for breast cancer screening; and teaming up with Romania’s top rally pilot to stream his performance in real time to a mobile game through the Vodafone network, to prove the effectiveness of its 4.5G network. McCann has always prided itself on the depth of its insight, and in 2018 launched a major research initiative. This involved surveying 15,500 people in 15 European markets to provide brands with quantitative and qualitative data on what is currently shaping Europeans’ attitudes, beliefs and outlook on the future. Other major studies launched in 2018 included "The Truth about Age", "The Truth about Privacy (GDPR)" and "The Truth about Global Brands 2". McCann EMEA certainly took home an impressive clutch of awards in 2018. It won the inaugural Creative eCommerce Grand Prix at the Cannes Lions festival for McCann UK’s concept for Microsoft, Xbox Design Lab Originals: the Fanchise Model. McCann was also Effie European Network of the Year and Effie MENA Network of the Year, while McCann UK was effectiveness network of the year at the IPA’s Effectiveness Awards. The network was number-two European Network at Cannes Lions, won Network and Agency of the Year at the Golden Drum awards and was number-two European network at Eurobest. McCann attributes its success to a four-year-old programme of embedding a culture of excellence, collaboration and diversity across the region. There has also been a focus on the network’s talent base. This has resulted in a new mix that is made up, in equal parts, of the best people who were in the company when it first embarked on its transformation journey, those who represent great talent promoted to management positions, and those hired from a range of industries to bring new perspectives and further diversify teams. The judges cited initiatives such as an employee experience survey to gain deep insights into the talent journey for staff, digital training and an Inspiring Women to Leadership programme as examples of "stronger employee engagement platforms" at McCann. Overall, the network was considered to display real strength in depth across a very broad range of services and specialisms, with proven results and "great varied case studies". TBWA EMEA notched up more than 100 new account wins in 2018, including Adidas in the Netherlands, ARD in Germany, Dom Perignon in France and Harvey Nichols in the UK. Creative highlights included a Super Bowl spot for Amazon (pictured, above), "Alexa loses her voice", from group agency Lucky Generals. Elsewhere, when Saudi Arabia announced it would overturn its ban on women drivers, TBWA\RAAD helped Nissan join the conversation with its #SheDrives content, which later evolved into a broader programme designed to give women confidence to get behind the wheel. TBWA\Media Arts Lab, which works with Apple, created bespoke campaigns for Children’s Day in Turkey, and to celebrate Ramadan and Eid in the Middle East. It also launched "French affinity", a series of "Shot on iPhone" films dedicated to celebrating the cities of Paris, Marseille, and Lyon through the lens of locals’ iPhones. 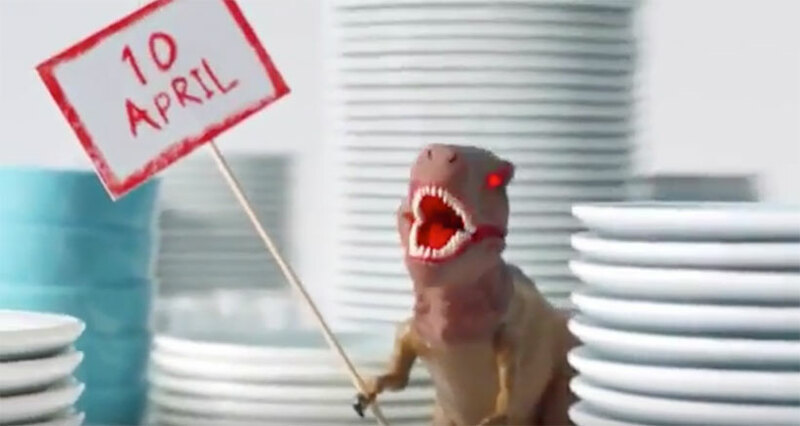 TBWA\Groupe in France won Communications Group of the Year at the Agences de l’Année awards; TBWA\RAAD enjoyed creative success in the Middle East and beyond, winning Agency of the Year at Dubai Lynx; and both TBWA\Group and TBWA\Hunt\Lascaris dominated the Creative Circle ranking for 2018 as leading South Africa Group and Individual Agency, respectively. Gold Lions were won by TBWA\Hunt\Lascaris, TBWA\France, and TBWA\RAAD. The network also scored well in the Effies, picking up several gongs. There’s no doubt the judges were extremely impressed by The & Partnership’s business model and results. "Leading thinking across a number of areas and utilising data and creativity together to deliver results," one said; "A bold approach which bucks the creative agency trend. Good work with measured results," another said. 2018 represented the fifth year of a strategy roll-out for The & Partnership, which has involved stripping out silos and creating a new-business model that’s "fit for the future", with on-site resource embedded within the client’s marketing department. The company has grown 175% since 2013 and the agency feels 2018 marked something of a "coming-of-age" for its new approach. The backbone of the European network is founded on the 16-market Toyota business, won by The & Partnership in 2016 and which combines creative, media and digital. The agency went on to build a bespoke tech stack for Toyota and embedded smart-data analytics at the heart of its approach. The model was so successful that Toyota handed The & Partnership three more European markets in 2018. The success of the strategy was recognised in a series of awards in 2018, including a Global Brand Marketing Award at The Marketing Society Excellence Awards, a Gold Media Week Award for Best International Campaign, the Grand Prix and two golds at the Spanish Eficacia awards, and an Effie for the agency’s first campaign for Toyota Poland. The UK agency’s "80 days of Argos" campaign (pictured, above) also won numerous awards in 2018, including British Arrows, Creative Circle and Masters of Marketing prizes, while The & Partnership UK’s work for News UK won a D&AD Pencil. Other creative highlights included an AI script for Lexus and the "See differently" campaign for the RNIB. In the past year, the network has been a vocal campaigner for brand safety on online platforms, its UK chief executive, Sarah Golding, has steered industry body the IPA as president, it has created another new-model agency for TalkTalk and grown its relationship with RBS by creating an on-site agency housing 96 people. It also undertook a culture survey of The & Partnership employees and developed a bespoke leadership programme for managers at all levels. Overall, 2018 was a testament to success of its brave new approach.